I started playing in my strip tub one day and began pulling out the black and white strips and sewing them together. Then I decided it needed some color and I added in a little bit from the other strips in the tub. Once I was done playing with it I put it on the wall and walked away for a few days. However, it kept calling me back and it needed to be a pillow. That meant adding a little bit more to make it square, quilting it, putting a back on it and putting in a pillow form. This was a lot of fun of just playing with strips and then of playing with the quilting. 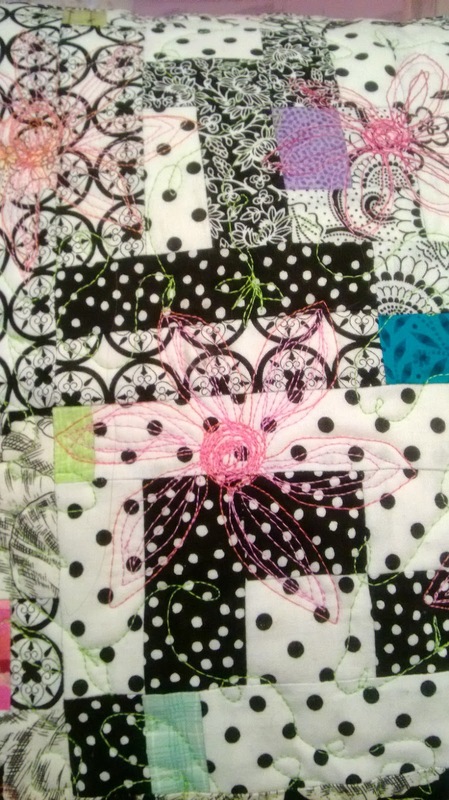 The quilting is free motion large flowers in two different thread colors all over the top and then the space is filled in with lime green vines and leaves. Lots of fun playing in the studio! This is great! 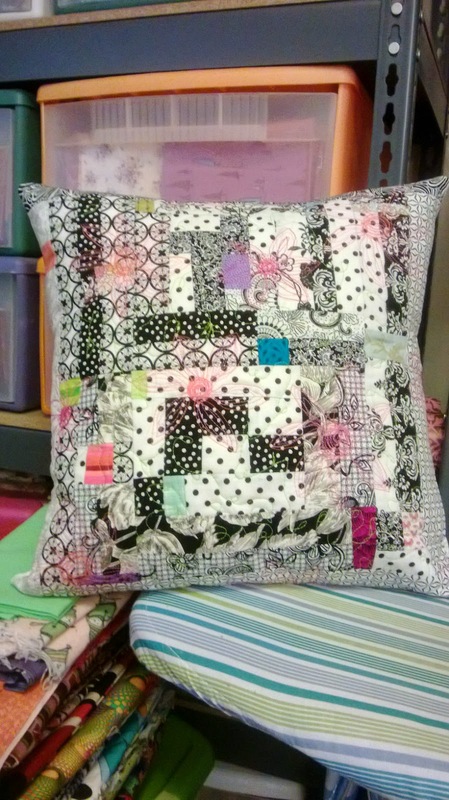 The quilting adds just the right touch! Nathalie ... always love seeing what you do! The fun you had is obvious! Those large flowers are like the cherry on top! Your pillow is terrific and the flowers really add to it!